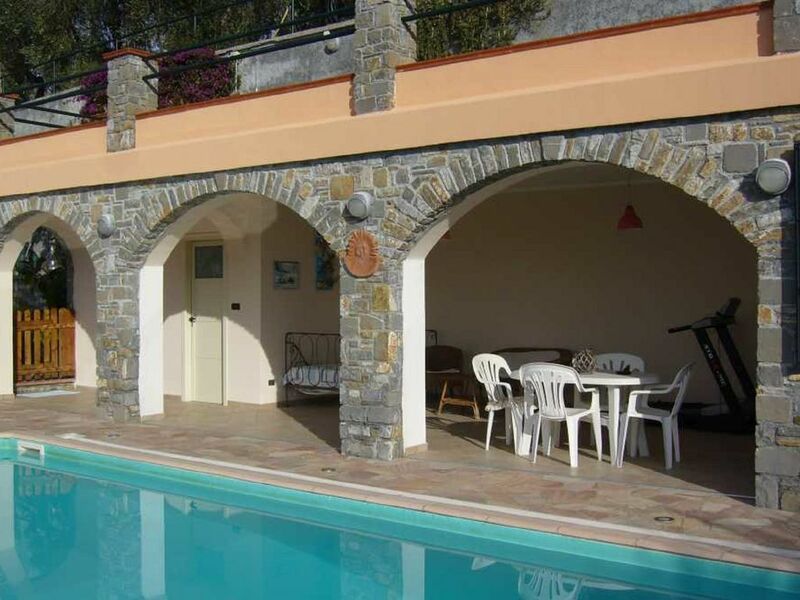 The Casa Lella apartment in Liguria is a beautiful and comfortable apartment, with a beautiful swimming pool, ideal for two people. It is located on the ground floor of a house with a total of three apartments, very idyllic and quiet, outside of Isolalunga and 1.5 km from Dolcedo in the middle of olive groves. TO REACH US IT IS RECOMMENDED TO GO OUT FROM THE MOTORWAY TO IMPERIA OVEST AND FOLLOW THE INDICATION FOR DOLCEDO. ARRIVED IN THE COUNTRY THE DISTRIBUTOR OF FUEL IS REACHED (ONLY) IN COURSE GARIBALDI n ° 106 AND FROM THE 'CONTACT US. On about 45 square meters there is a bedroom with a double bed, a bathroom with bidet, bath and shower and a well-equipped kitchen, with exit to the terrace. Its exposed location, the good services with satellite TV and washing machine, as well as the beautiful swimming pool promise a particularly relaxing holiday. The friendly owners manage as a hobby a small farm, so there is a vegetable garden, olive trees and chickens in the large garden around the house.